Doctors representing medical colleges in Tamil Nadu will now be involved in the process of drafting guidelines for teaching students online and via videoconferencing. This initiated involvement from the doctors comes with an objective to further ease the process of teaching. The new set of guidelines to be framed is being considered the next big step to facilitate new methods in medical education. The greater use of telemedicine is one such proposition, which in turn, can also address the problem of shortage of doctors in many medical institutes in the state. Telemedicine is the next big thing with a strong potential to monitor patients in distant locations, by giving access to clinicians, particularly specialists. It can also facilitate consulting and care, in addition to performing procedures on such long-distance patients. Addressing the need of continuous treatment by specialists for complex illness or rare diseases, telemedicine is being cites as a crucial mode of connect between the patients in one location and a doctor in another. As reported by TOI, experts from different institutions such as Apollo Hospitals, Ramachandra Medical University, Sankara Nethralaya and Arvind Eye Hospitals have started the state chapter of the Telemedicine Society of India, which will be inaugurated on February 23. 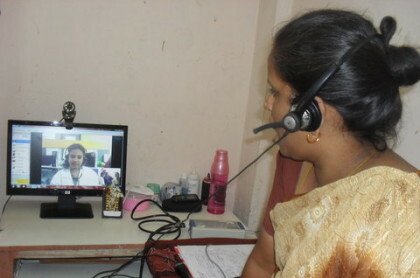 The advanced technology in both medicine and communication has given doctors the confidence to trust telemedicine, said TN society president Dr K Selvakumar, a neurosurgeon at Sri Ramachandra University. The society is planning to do master health checks and help doctors in the PHCs detect diseases early, according to officials.